Google might want to buy Cyanogen, but is it for sale? 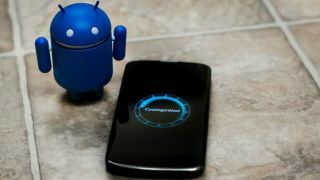 The creators of CyanogenMod, a customised open source mobile operating system based on Android, has rebuffed the advances of Android's creator, Google. Although Cyanogen Inc hasn't actually created any consumer products or generated any real revenue, it has managed to acquire a $1 billion valuation, and is seeking additional funding. The high valuation of Cyanogen is in part based on the popularity of CyanogenMod, as well as a number of partnerships with smartphone manufacturers such as Oppo and OnePlus, which has seen CyanogenMod replace stock Android as the mobile operating system for a number of devices, especially in emerging markets. According to The Information, Cyanogen Inc has also struck up a deal with Indian phone manufacturer Micromax to release a CyanogenMod-powered handset this year. CyanogenMod's success in emerging markets such as India have likely caught Google's eye, along with the fact that Google has recently partnered with Micromax for it's Android One initiative, which aims to bring Android-powered smartphones to developing countries. Of course, these countries are the very markets that CyanogenMod has done so well in. It comes as little surprise then that Sundar Pichai, senior vice president at Google, has expressed interest in acquiring Cyanogen and incorporating it into Google's Android group. What's perhaps more surprising is that Cyanogen Inc apparently turned down Google's advances, and is instead using the offer to gain increased funding elsewhere. It's a risky strategy, especially for a company which has yet to make any profit, but you never know - it might pay off.